The Student Academics Examination Management module for Schools colleges is an important task for the evaluation of student abilities and performance. 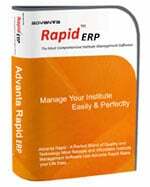 Advanta Rapid ERP includes all the process like examination setup, examination marks entry, CBSE CCE report generation etc. With Advanta Rapid ERP, you can maintain all the details of internal/external exams, theory/practical test, teacher wise internal assessment, automatic result preparation and print marks sheets. This module also helps the teachers for updating student’s marks and generating different reports in bulk with a single click of the mouse, which reduces time and paperwork. Advanta Rapid ERP provides the best solution to manage the whole process of examination system in well designed, structured and systematic way. The Student Academics/Examination Management module is available for all types of schools, colleges, educational institutes, coaching institutes. 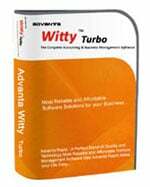 This module is an important component of our school management system, college management software and institute management software. In Advanta Rapid ERP, any school or institute can setup exams class wise, like what all subject to be included in a particular class along with grades or marks. Advanta Rapid ERP has the provision, to declare the result either on grading system and grades can be defined on the basis of percentile, say 96%-100%, will come under A+ grade and 33%-38% will come under E grade. Examination held during a session; class test, the mid-term examination, half-yearly or annually examination can be easily defined in Advanta Rapid ERP. Date sheet for every exam setup can be generated in Advanta Rapid to avoid confusion. This module will define particular dates allotted for each and every subject. Result sheet depicts student’s performance throughout the academic session and for staff management, it is very difficult task to perform this action. With Advanta Rapid ERP, it will make easier for teachers show a graphical representation of student’s performance by maintaining academic or examination records. Advanta Rapid has the option for school management to send the result by SMS, Email or Letter to Parents as this is beneficial for parents to get to know about their student’s performance and ability by even performing in daily activities. In Advanta Rapid, you can define Maximum Marks and Passing Marks for different examination and subjects. What would happen if teachers can create online test and students have to go for an online test from their computers, marks calculation done automatically and finally results uploaded isn’t it good? Yes, to avoid a lot of paperwork just for the preparation of question papers, setup of exam pattern for different classes, then calculating marks and generating reports for the individual, Advanta Rapid has best feature i.e. Academic Module, which evaluates student’s performance for the academic session. It allows examination department of school to manage grading system or percentile system as per their criteria. 7. Everything included in this module is done with the single click. Academic or examination module follows systematic workflow including pre-examination setup, student marks update and defining different reports. Following reports can be generated through Advanta Rapid ERP school/college examination management module. Need more information on Student Academics/Examination Management System? Contact us for a free demonstration of Student Academics/Examination Management.